The RV markets saw continued growth in 2014 with wholesale shipments finishing the year at 356,735 units, a gain of more than 11 percent over 2013, according to Recreational Vehicle Industry Association’s (RVIA) survey of RV manufacturers. Michigan is the third top destination for RV shipments; receiving 4.65 percent of the new RV delivery market, behind Texas (8.6 percent) and California (6.3 percent). A recent vacation cost comparison study showed that a family of four can save 27 to 62 percent on vacation costs by traveling in an RV, even after factoring in ownership costs and fuel. For a family of four, gas would have to be more than $12 a gallon before vacationing loses its economic advantage, according to PKF Consulting, Inc. 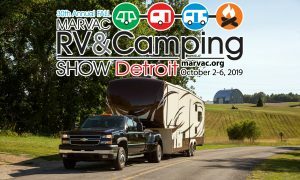 According to the Michigan Department of Environmental Quality, there are over 1,300 licensed private recreation vehicle parks and campgrounds in Michigan, which represent more than 145,000 campsites. Buyers aged 35-54 are the largest segment of RV owners, according to the 2011 University of Michigan study commissioned by RVIA. A study by Michigan State University shows that 10 percent of all pleasure travelers in Michigan are campers. The RV rental business remains impressive with more than one-third of RV rental dealers reporting increases 10-19 percent of rentals across the country, according to the RV Rental Association. There are more than 12,000 RV-related businesses in the U.S. with combined annual revenues of more than $37.5 billion. The RV industry currently employees an estimated 525,000 people in manufacturing, suppliers, dealers and service departments.